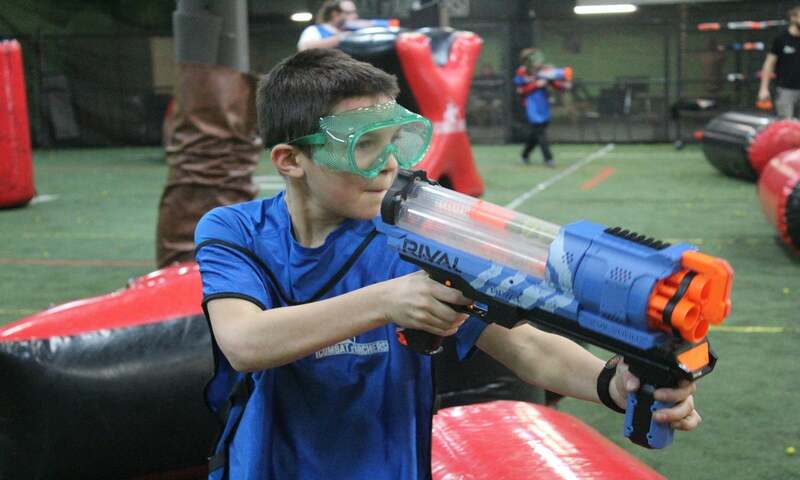 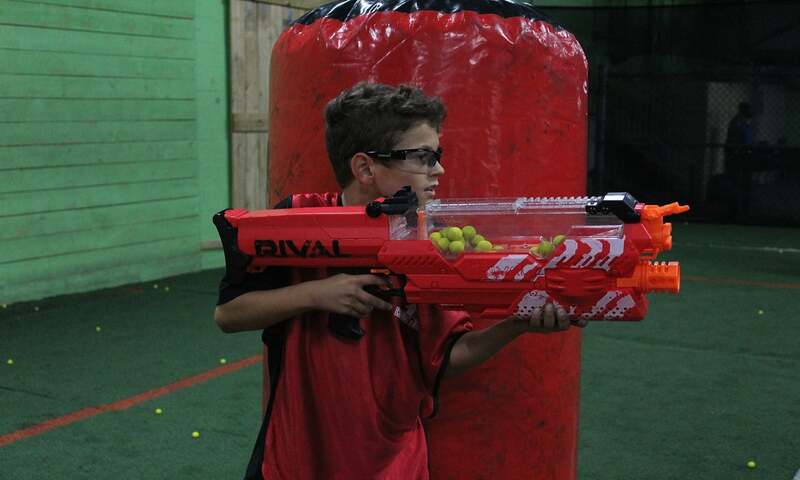 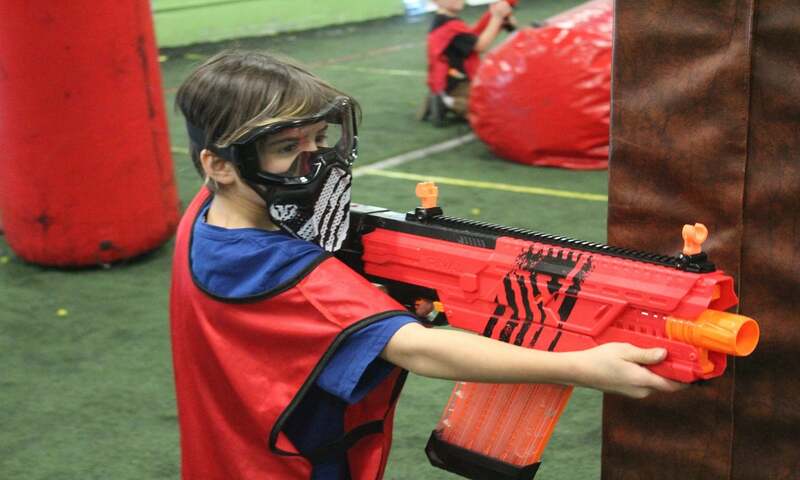 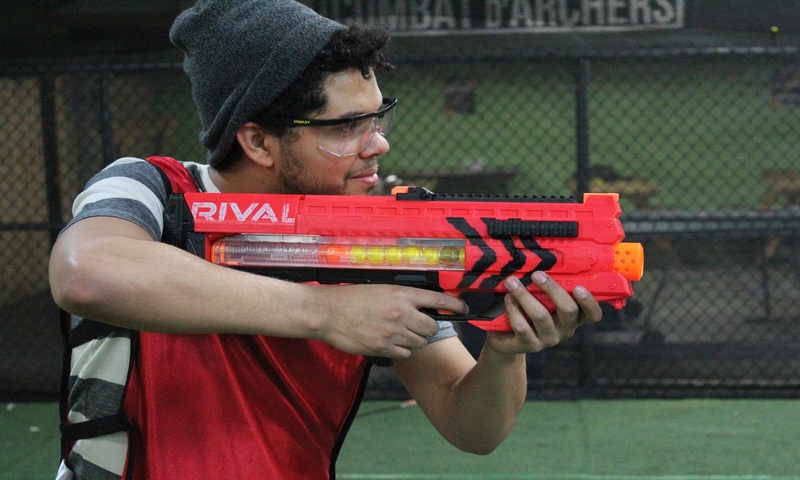 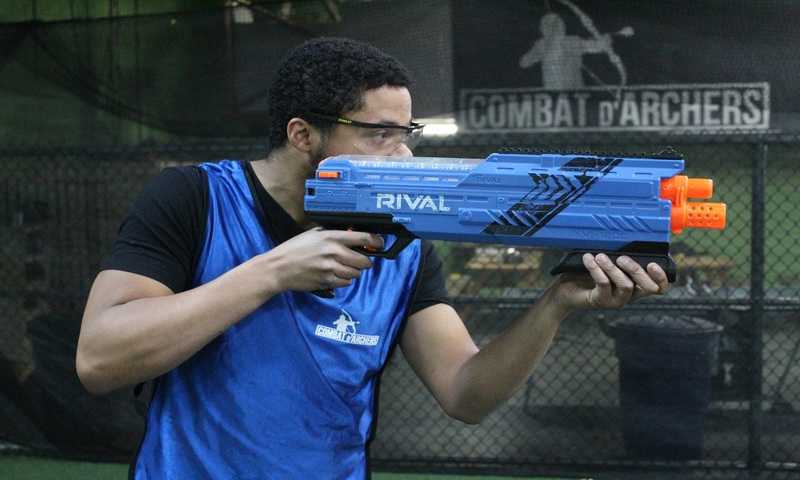 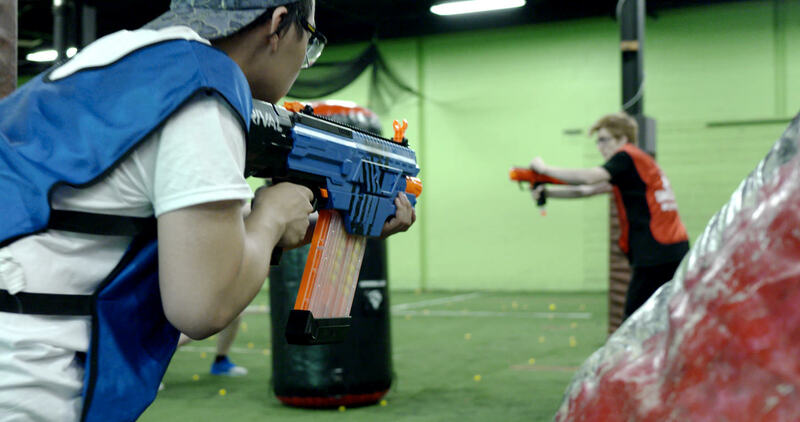 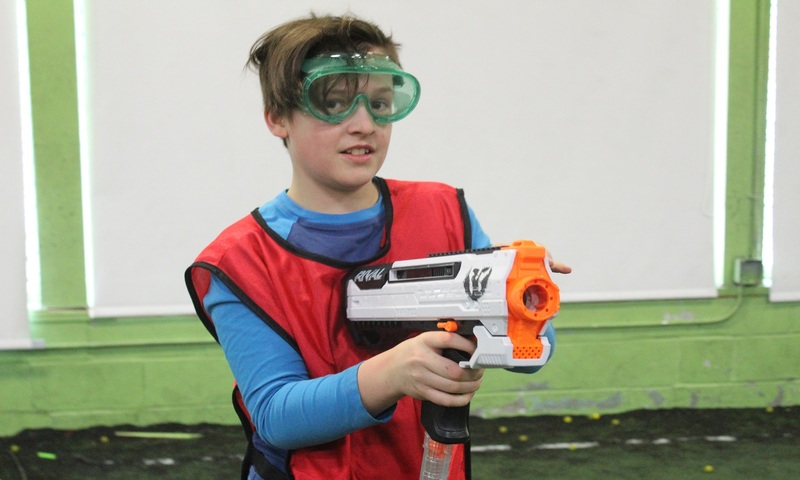 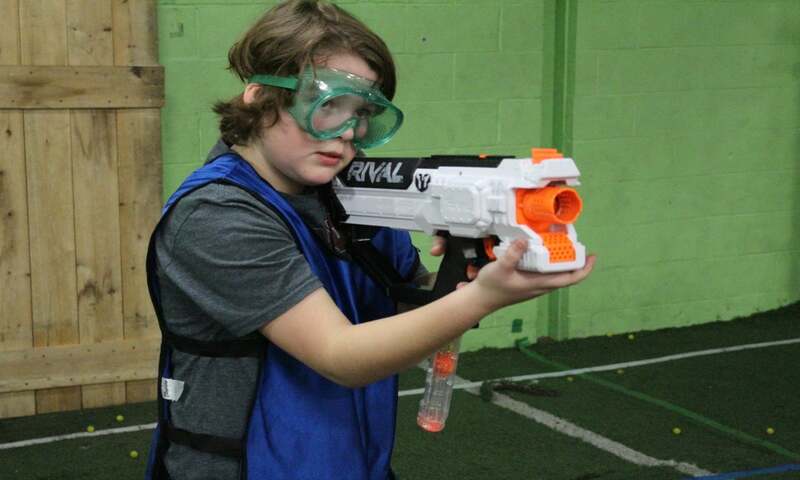 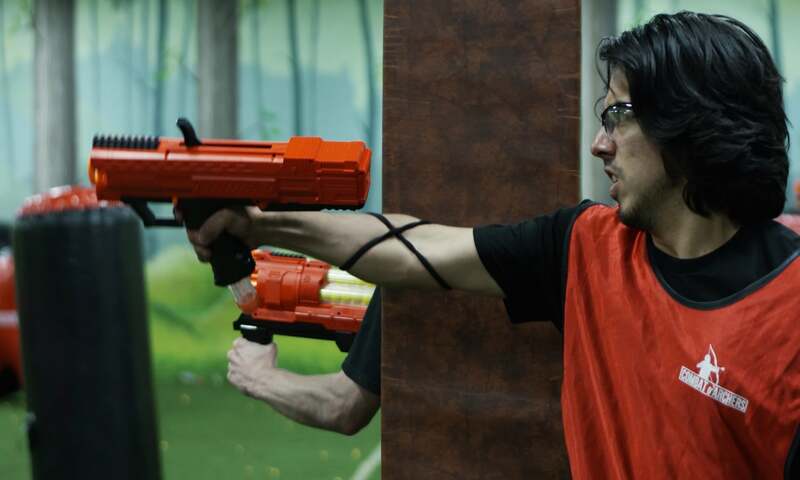 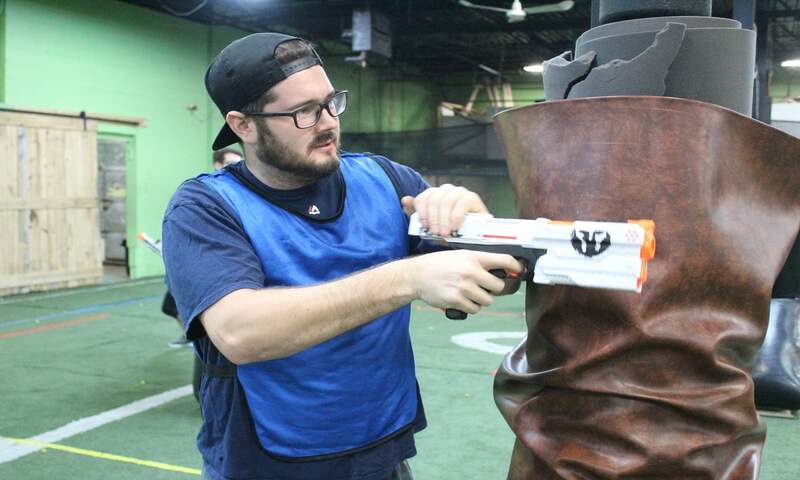 Nerf guns - Nerf Battle Montreal - Only the latest and best Nerf guns! 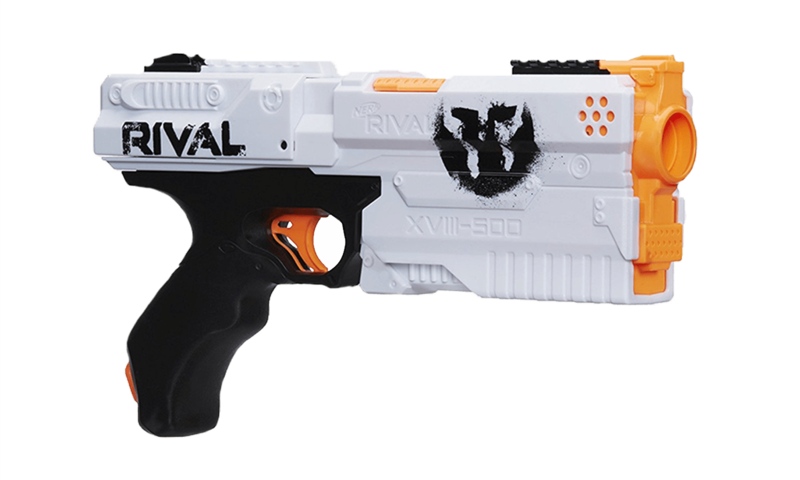 The Kronos is an internal-magazine based Nerf RIVAL blaster that holds up to five High-Impact Rounds. 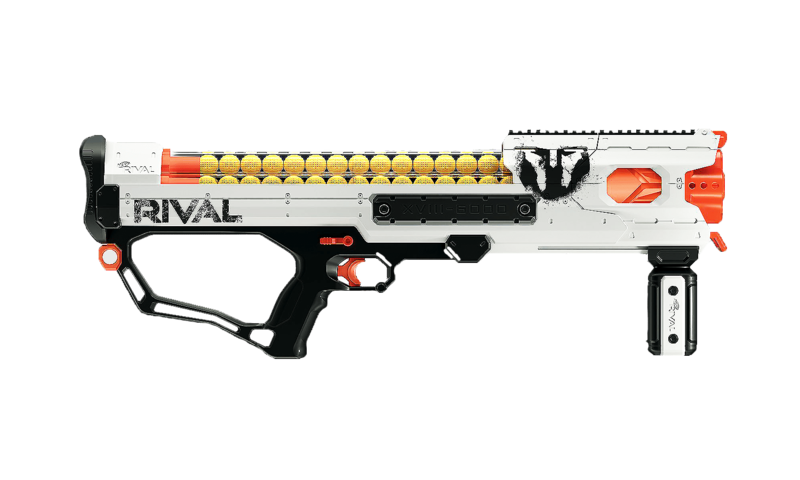 The Apollo fires High-Impact Round through the use of magazines, which are loaded through the blaster’s handle. 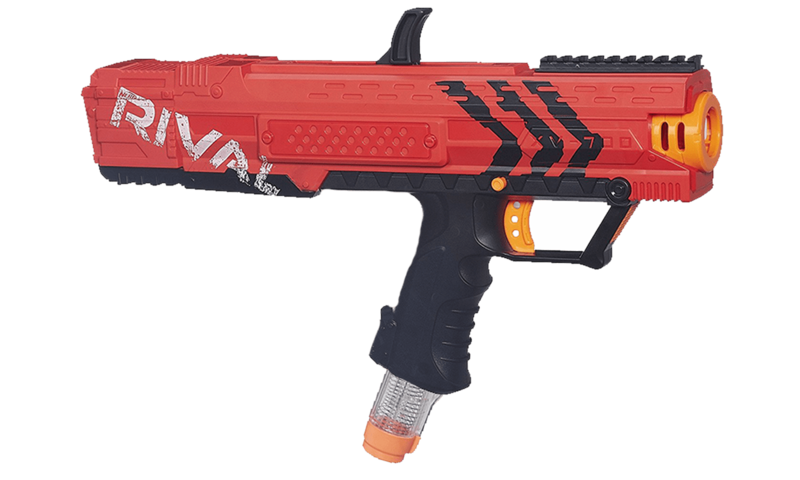 The Helios fires High-Impact Rounds through the use of magazines, which are loaded through the blaster’s handle. 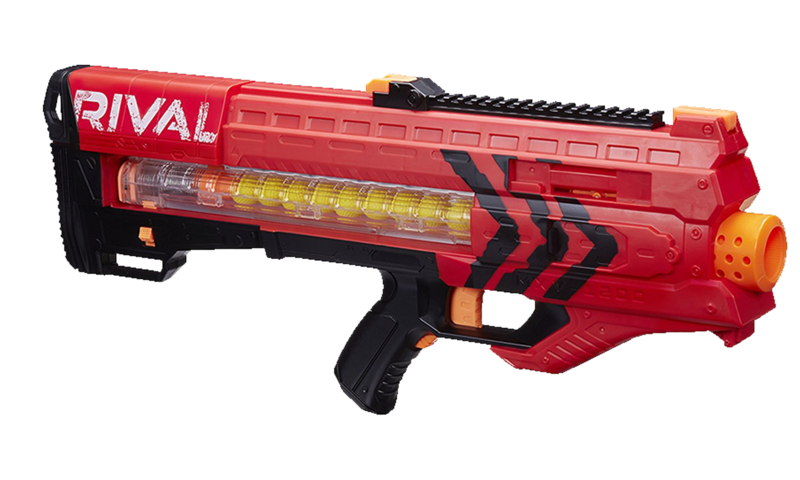 The Atlas is a pump-action blaster that fires two High-Impact Rounds at a time with just one pull of the trigger. 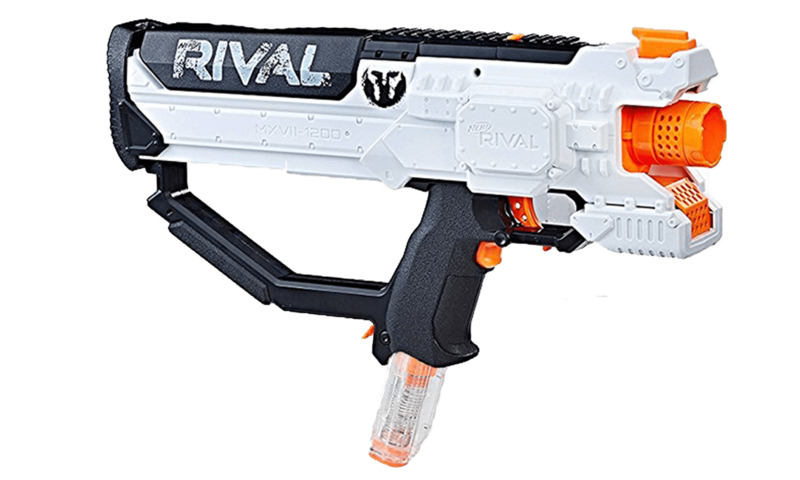 The Zeus MXV-1200 is a semi-automatic flywheel-powered bullpup-style Nerf blaster. 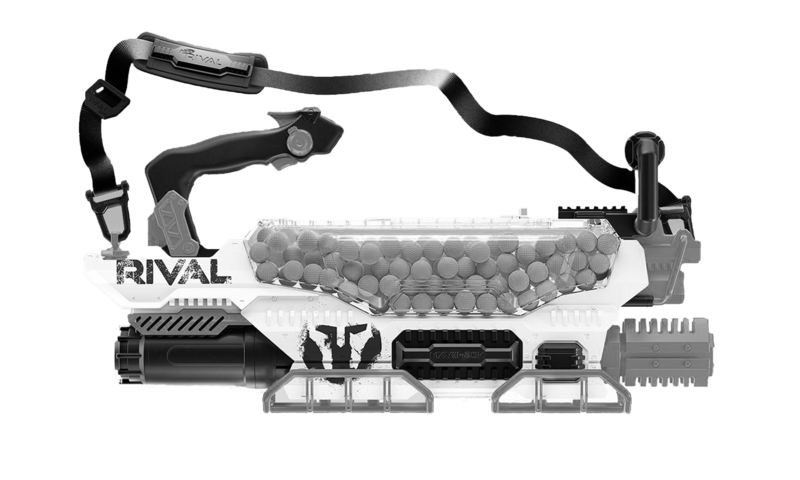 The Artemis features three integrated magazines that hold ten High-Impact Rounds each, and a front turret system that rotates on the prime. 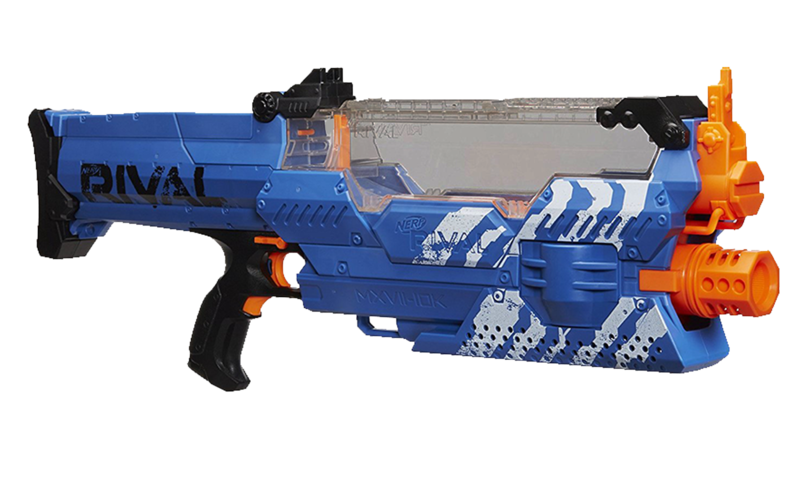 The Hera MXVII-1200 is a semi-automatic flywheel system Nerf blaster. 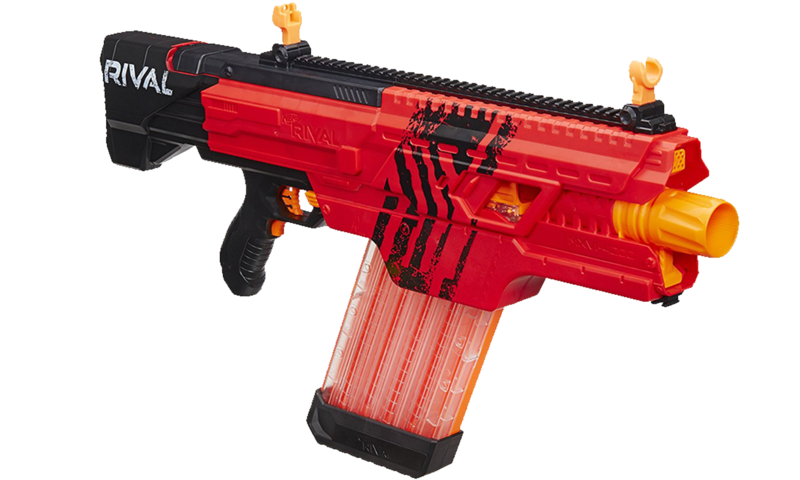 It fires High-Impact Rounds through the use of magazines. 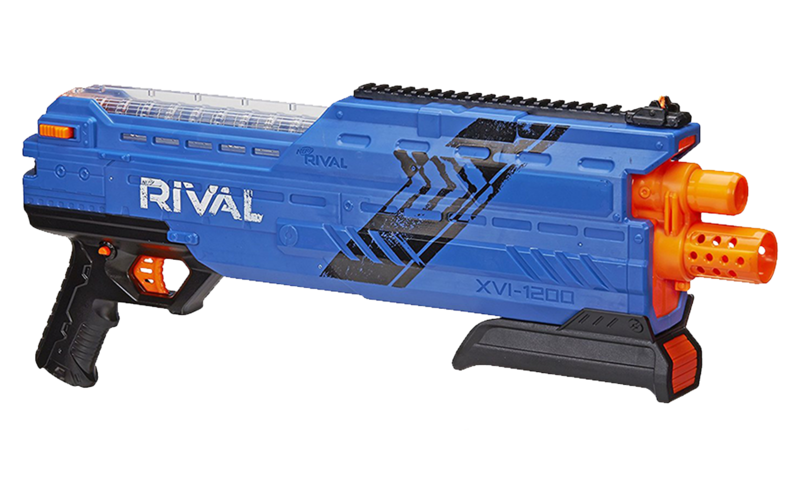 The Khaos MXVI-4000 is a fully automatic blaster that can fire up to 40 High-Impact rounds before needing to reload. 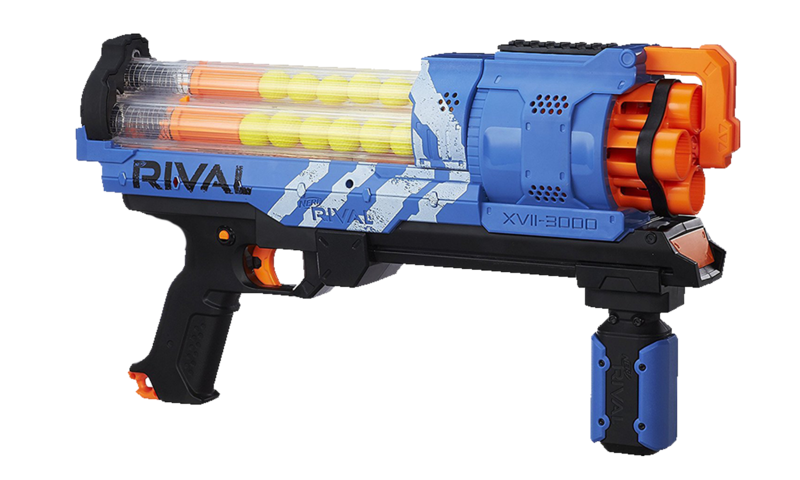 The Nemesis MXVII-10K is a fully automatic blaster that can fire up to 100 High-impact rounds before needing to reload. The Hades features four integrated magazines that hold fifteen High-Impact Rounds each for a total of 60 rounds before needing to reload. 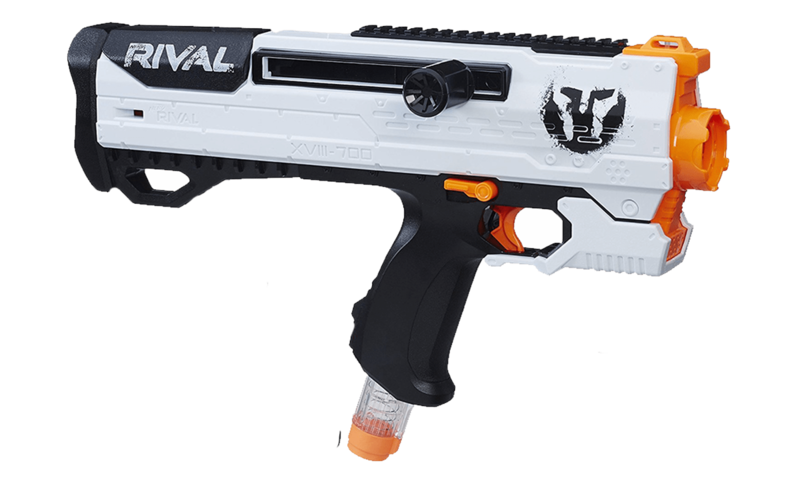 The Prometheus is a fully automatic blaster that can fire up to 200 High-impact rounds before needing to reload.